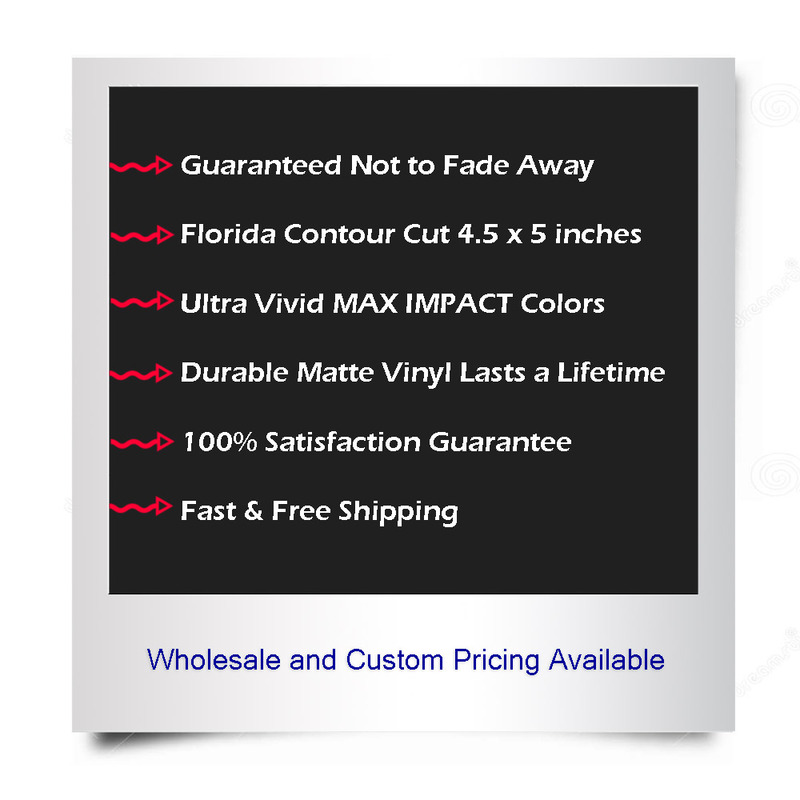 Here is a set of contour cut magnetic stickers. 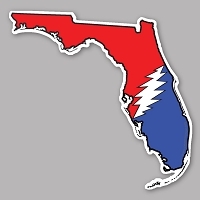 The Florida contour cut has the classic Grateful Dead Lightning bolt in sunset colors. 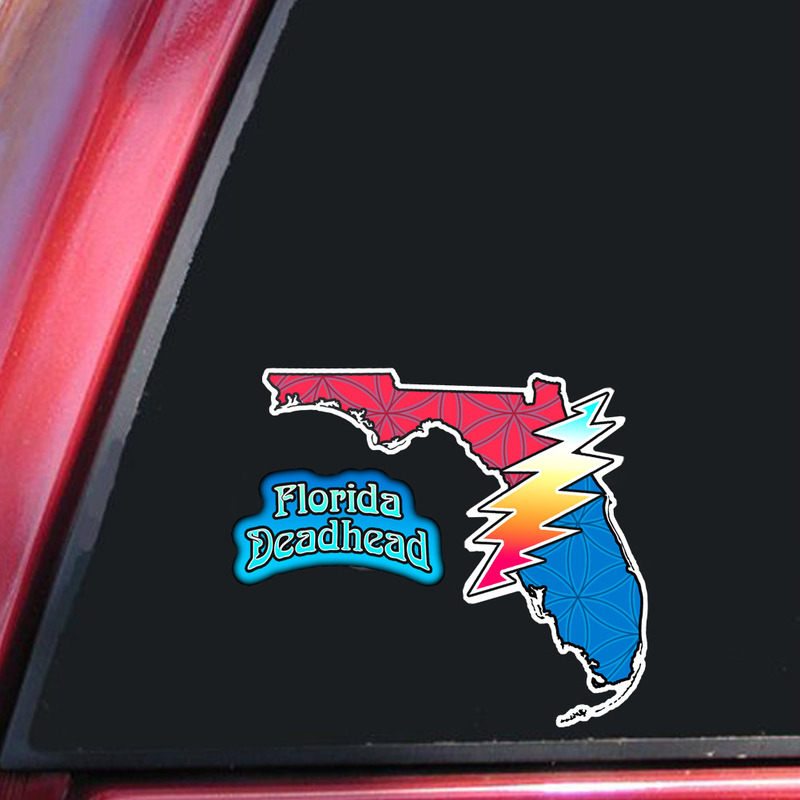 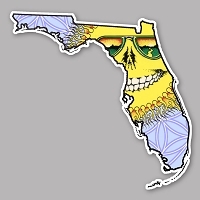 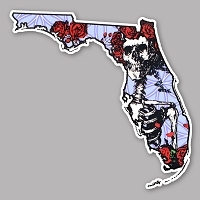 Another has psychedelic lettering "Florida Deadhead". 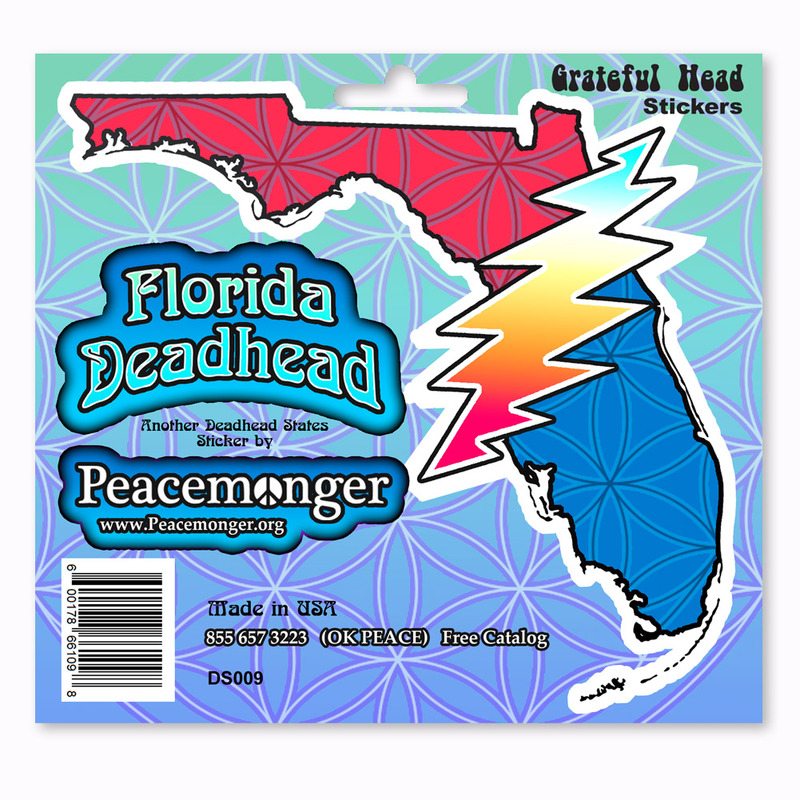 A Peacemonger logo is also a magnet.